Vertical video 3D animation DNA BEAM MACHINE from Stefan Beckhusen on Vimeo. 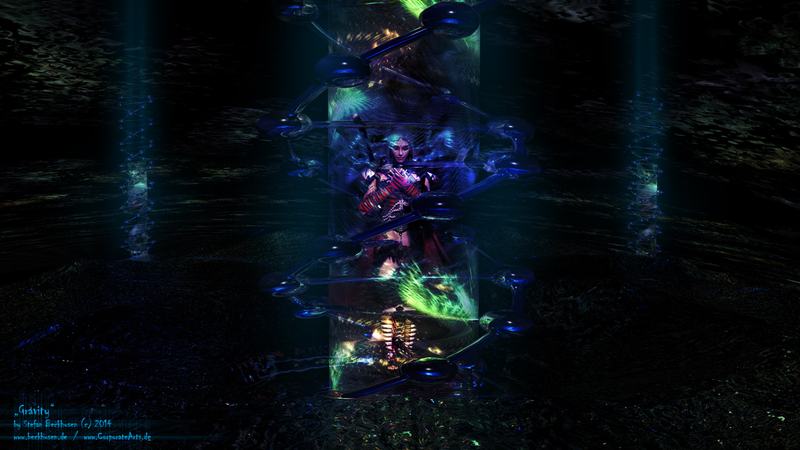 Vertical 3D animation of a rotating mirroring DNA like a mill in a fluorescent scifi ocean around a figure in a life tank. Surely you can't imagine, .... this was my hardest render till now. A new Intel i7 Skylake system with 16 GB ram needed 2 weeks to render the 10 seconds from which i trimed this seamless clip. Available for commercial project with exclusive rights on request!